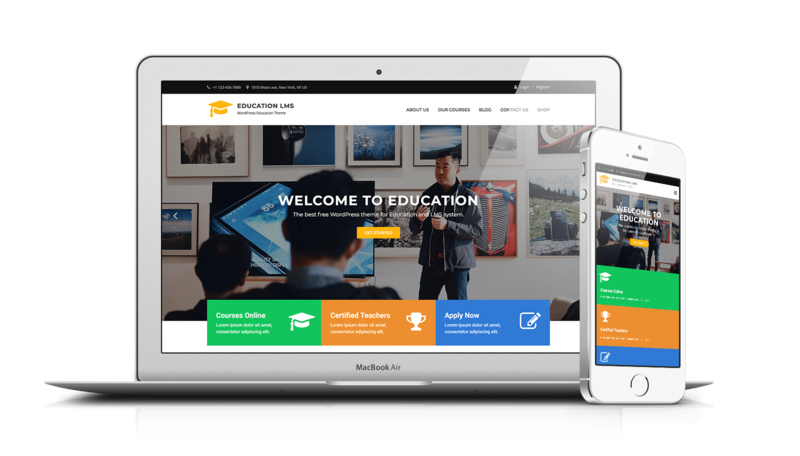 Education LMS is a simple, clean, responsive and user-friendly education WordPress theme specially designed for university, school, college or other educational institutions. The Education LMS theme has powerful theme customization options such as custom header media, logo, custom menu, social icons, featured slider, courses, title bar, news, and more. It makes your website more engaging and informative. Especially, the Education LMS theme works excellent with Elementor and LearnPress plugins, help you easily create flexible content and sell the course online. * Fixed courses page full width layout. * Fixed count the lesson and quizze item in single course. * [PRO] Add new custom header image for post & course. * Add menu sidebar display position left/right/dropdown. * Add container max width. * Add header & footer full-width/contained layout. * Add hide footer social option. * Add WooCommerce Cart to header topbar. * Add logo max width in Customize => Site Identity. * Show the site title & tagline on mobile. * Update shop page title and hide the description. * Update top menu style.